Nightlight Christian Adoptions is a Hague Accredited agency that is able to conduct home study services for U.S. Citizens living abroad who desire adoption. As an accredited agency, NCA is able to serve as a ‘Primary,’ ‘Supervised’ or ‘Exempt’ Provider of inter-country adoption services. 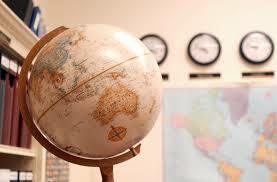 If you are a U.S. Citizen who is a prospective adoptive parent, Nightlight can help you with your home study overseas. Nightlight Home Study Providers are authorized under 22CFR part 96, to complete home studies for Convention and Non-Convention cases for prospective adoptive parents who reside overseas. For U.S. citizens living abroad, Nightlight staff home study providers are able to provide the full range of home study services abroad, including required pre-adoption education as well as the formal home study. Our experienced home study providers have provided pre-adoptive education and home study services to clients residing overseas. When contracting with Nightlight to provide home study services in another country, it is important that there is verification with the other country’s Central Authority, insuring authorization of the home study provider under their jurisdiction. Nightlight works with the Central Authority of the identified country to insure compliance with their adoption regulations. The benefits of choosing an experienced Nightlight home study provider include, providers who are very experienced in conducting home studies and teaching pre-adoption classes. The home study provider will bring the education and home study services to you. The education and interviews will be held in your home, according to Hague regulations 96.48(a-h). Education and support is an important aspect of a home study and it is important to contract with an agency like Nightlight that provides highly regarded home studies. These providers are not only available for the pre-adoption preparation, counseling and home study, but also provide post adoption counseling. In addition, the staff members who provide these services are considered experts in Inter-country adoptions and regularly speak at international adoption conferences. Home study visits and education provided within your home, conducted over a 3-day period. Home Study Provider Travel: flight, hotel, meals for a 3-day period. Other: Fingerprint, medical and other document fees required by USCIS.